Sandy filter mediaThe engineered soil component of bioretention cell or dry swale designs, typically with a high rate of infiltration and designed to retain contaminants through filtration and adsorption to particles. mix. Higher I/P ratioThe ratio of the catchment (impervious area) to the footprint area of the receiving BMP (pervious area). Improved metals and phosphorus retention. BioretentionA shallow excavated surface depression containing prepared filter media, mulch, and planted with selected vegetation. filter mediaThe engineered soil component of bioretention cell or dry swale designs, typically with a high rate of infiltration and designed to retain contaminants through filtration and adsorption to particles. 5 - 10 % ASTM D2974-14, Standard test methods for moisture, ash and organic matter of peat and other organic soils. 12 - 40 ppm As measured by the 'Bray' method. Alternatives include 'Mehlich I or III', or 'Olsen'. Results from these are not directly translatable. 10 meq/100 g ASTM D7503-10, Standard test method for measuring the exchange complex and cation exchange capacity of inorganic fine grained soils. SandMineral particles which are smaller than 2 mm, and which are free of appreciable quantities of clay and silt. Coarse sand usually designates sand grains with particle size between 0.2 and 0.02 mm. Coarse sandMineral particles which are smaller than 2 mm, and which are free of appreciable quantities of clay and silt. Coarse sand usually designates sand grains with particle size between 0.2 and 0.02 mm. for LIDLow Impact Development. A stormwater management strategy that seeks to mitigate the impacts of increased urban runoff and stormwater pollution by managing it as close to its source as possible. It comprises a set of site design approaches and small scale stormwater management practices that promote the use of natural systems for infiltration and evapotranspiration, and rainwater harvesting. construction shall be washed clean and free free of toxic materials. The pH of the sandMineral particles which are smaller than 2 mm, and which are free of appreciable quantities of clay and silt. Coarse sand usually designates sand grains with particle size between 0.2 and 0.02 mm. shall be ≤ 7.0. Manufactured sandMineral particles which are smaller than 2 mm, and which are free of appreciable quantities of clay and silt. Coarse sand usually designates sand grains with particle size between 0.2 and 0.02 mm. from limestone or dolostone parent material is not acceptable. SandMineral particles which are smaller than 2 mm, and which are free of appreciable quantities of clay and silt. Coarse sand usually designates sand grains with particle size between 0.2 and 0.02 mm. manufactured from crushed recycled glass is available locally, and is a viable alternative. 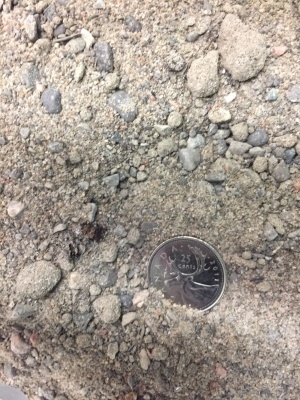 The coarse sandMineral particles which are smaller than 2 mm, and which are free of appreciable quantities of clay and silt. Coarse sand usually designates sand grains with particle size between 0.2 and 0.02 mm. shall have a fineness modulus index between 2.8 and 3.1 according to ASTM C33/C33M, or otherwise meet the gradation below. Topsoil may be material that was stripped from the project site and stored in stockpiles for re-use, or material imported to the site from a supplier provided the physical and chemical characteristics are within acceptable ranges. Topsoil shall be in compliance with Ontario Regulation 153/04 Record of Site Condition standards for soil quality or as amended through Ontario Management of Excess Soil - A Guide for Best Management Practices. Soil laboratory reports shall certify the material to be suitable for re-use on residential, parkland, institutional, industrial, commercial, or community landscapes for the germination of seeds and the support of vegetative growth. Specify that topsoil must be friable, neither heavy clay1. A mineral soil separate consisting of particles less than 0.002 millimeter in equivalent diameter. 2. A soil texture class. 3. (Engineering) A fine-grained soil (more than 50 percent passing the No. 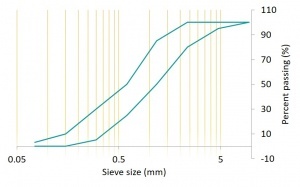 200 Sieve) that has a high plasticity index in relation to the liquid limit. (Unified Soil Classification System). nor of a very light sandy nature. pH value of 6 - 7.5. Topsoil must be capable of sustaining vigorous plant growth and to be free from subsoil, roots, vegetation, debris, toxic materials and stone over 50 mm diameter. Specify that topsoil sample must be provided to the consultant for testing and analysis including herbicide or atrazine content. All topsoil supplied must conform to a sample provided. Minimum topsoil depth is 150 mm for turf areas and ranging to 1.25 m for perennials, shrubs and trees. This is the first big opportunity to manage phosphorus export from a bioretention or stormwater planter system. Whilst compostDecayed organic material used as a plant fertilizer. Compost helps to support healthy plant growth through the slow release of nutrients and the retention of moisture in the soil. is the most common ingredient, designers working in sensitive watersheds are encouraged to explore the alternatives listed below. Some of these materials may be combined 50:50 with compostDecayed organic material used as a plant fertilizer. Compost helps to support healthy plant growth through the slow release of nutrients and the retention of moisture in the soil. to balance the nutrients required by the plants and the potential for leaching of excess nutrient. CompostDecayed organic material used as a plant fertilizer. Compost helps to support healthy plant growth through the slow release of nutrients and the retention of moisture in the soil. CompostDecayed organic material used as a plant fertilizer. Compost helps to support healthy plant growth through the slow release of nutrients and the retention of moisture in the soil. is the most widely used organic component. It's use in bioretentionA shallow excavated surface depression containing prepared filter media, mulch, and planted with selected vegetation. facilities is well established and documented. Low-phosphorus composts should always be sought for use in low impact developmentA stormwater management strategy that seeks to mitigate the impacts of increased urban runoff and stormwater pollution by managing it as close to its source as possible. It comprises a set of site design approaches and small scale stormwater management practices that promote the use of natural systems for infiltration and evapotranspiration, and rainwater harvesting. facilities, including bioretentionA shallow excavated surface depression containing prepared filter media, mulch, and planted with selected vegetation.. These are typically created from feedstocks including yard, leaf, and wood waste, and must exclude manures, biosolids, and food scraps. Typically these components would make up 5- 10 % by volume of the filter mediaThe engineered soil component of bioretention cell or dry swale designs, typically with a high rate of infiltration and designed to retain contaminants through filtration and adsorption to particles. mixture. 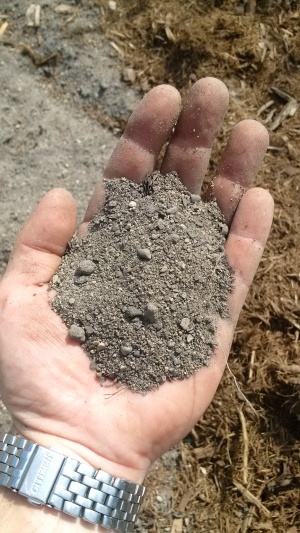 A number of granularGravel, or crushed stone of various size gradations (i.e., diameter), used in construction; void forming material used as bedding and runoff storage reservoirs and underdrains in stormwater infiltration practices. amendments have been demonstrated to improve nutrient removal from discharge water in BMPs such as bioretention systems, stormwater planters, absorbent landscapes, sand filters or green roofs. There are two primary processes involved, chemical precipitationAny form of rain or snow. and adsorptionThe attachment of gas, vapour or dissolved matter onto the surface of solid materials.. Both mechanisms are ultimately finite, but have been shown in come cases to make significant improvements on the discharged water quality over several years. ↑ Sawyer JE, Mallarino AP. Differentiating and Understanding the Mehlich 3, Bray, and Olsen Soil Phosphorus Tests 1. http://www.agronext.iastate.edu/soilfertility/info/mnconf11_22_99.pdf. Accessed August 1, 2017. ↑ CRC for Water Sensitive Cities. (2015). Adoption Guidelines for Stormwater Biofiltration Systems: Appendix C - Guidelines for filter media in stormwater biofiltration systems. ↑ Hurley S, Shrestha P, Cording A. Nutrient Leaching from Compost: Implications for Bioretention and Other Green Stormwater Infrastructure. J Sustain Water Built Environ. 2017;3(3):4017006. doi:10.1061/JSWBAY.0000821. ↑ Urban Drainage and Flood Control District. (2010). “Bioretention.” <http://udfcd.org/criteria-manual/volume-3/t-03-bioretention/> (Mar. 15, 2018). ↑ Hood A, Chopra M, Wanielista M. Assessment of Biosorption Activated Media Under Roadside Swales for the Removal of Phosphorus from Stormwater. Water. 2013;5(1):53-66. doi:10.3390/w5010053. ↑ Logsdon SD, Sauer PA. Iron Filings Cement Engineered Soil Mix. Agron J. 2016;108(4):1753. doi:10.2134/agronj2015.0427. This page was last edited on 12 April 2019, at 19:41.